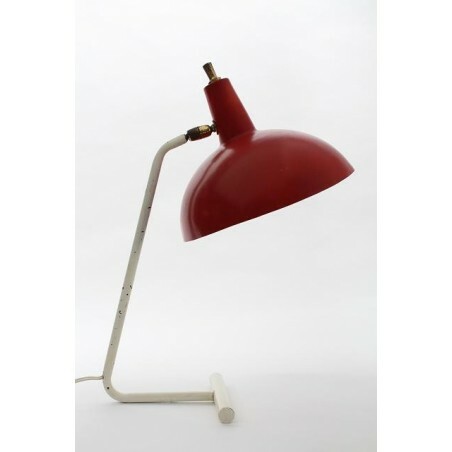 Vintage table lamp from the Dutch brand Anvia. 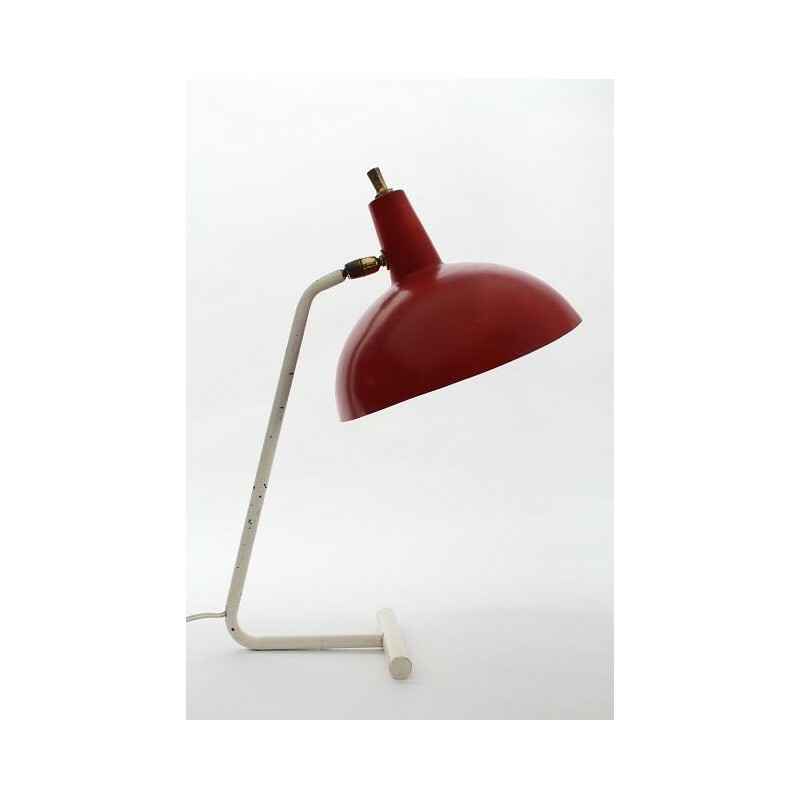 The lamp has a red colored shade and is marked by a sticker. The lamp is in a fair condition given it's age. The dimension is 45 cm high and the shade is 25 cm in diameter.